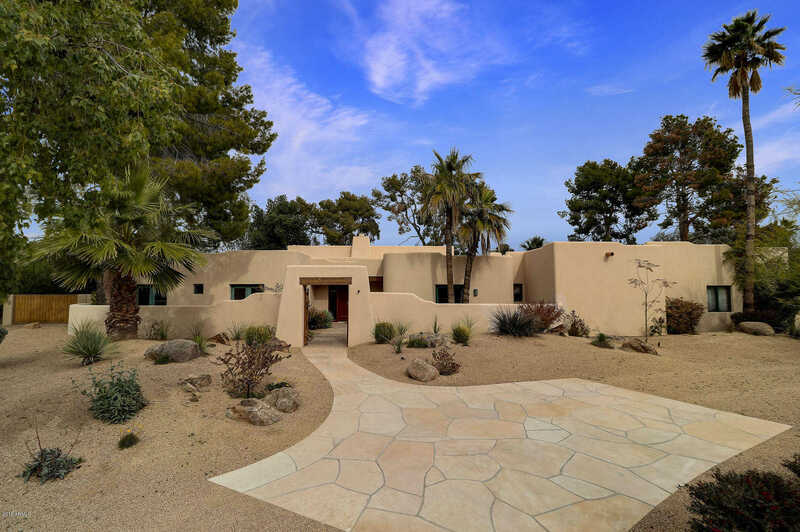 A truly unique Santa Fe style home that combines fabulous desert architecture with high end comfort. Modern amenities in the kitchen for the chef- Viking stove,Sub-zero fridge, and a huge 5 ft island. Vaulted ceilings, beehive fireplaces, an office/ flex space, plus 4 ensuite bedrooms with patio access are just a few highlights of this Southwest masterpiece. Enjoy outdoor living to its fullest- Play a quick set of tennis, take a dip in your heated pool, or perhaps head on over to your private stable! Directions: South on Scottsdale Rd. Right on Cheney, Right on Mockingbird, Right on Belmont. Approximate size: 47187.00 sq. ft.